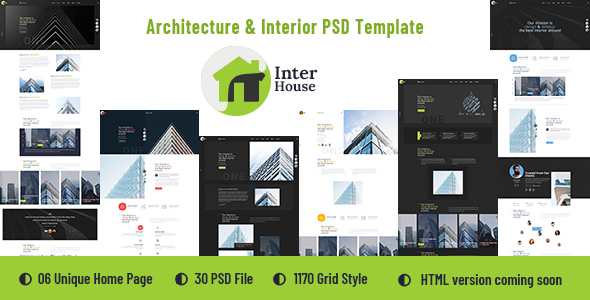 Inter House – Architecture & Interior PSD Template is the best design for Businnes 2018. any kinds of Businnes One page Template Based on Bootstrap, 12 column Responsive grid Template. ‘Inter House’ is a smooth and colorful PSD Template, perfect suitable for , Businnes PSD Template. It includes everything you need for the website development such as Architecture & Interior PSD Template. PSD files are well organized also you can customize very easy . we have include 30 psd file for you.